Ohio is no stranger to haunted destinations. 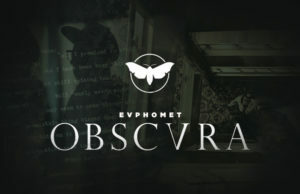 The state is home to infamously spooky places like the Moonville Tunnel, Ohio State Reformatory, and the Sedamsville Rectory, but there’s one amazing paranormal hotspot that has managed to fly under the radar. 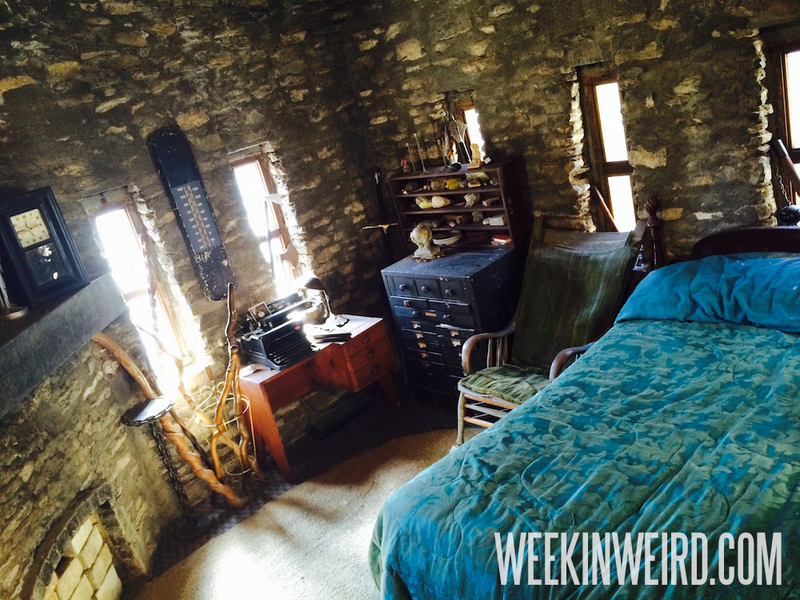 Loveland Castle, or Chateau Laroche as it was formerly known, is a handmade folly castle tucked away in the woods, and the tales of its fascinating construction – and it’s terrifying hauntings – have been told around local campfires for decades. The story behind how a giant, handmade castle found itself in the middle of the Midwest is just about as weird as the unexplainable activity that has been happening inside inside its stone walls for the better part of a century. After all, the last thing you’d expect to find in the outskirts of Greater Cincinnati is an old-style fortress, let alone one build by a single person. Yes, you read that right, every square inch of Loveland Castle was painstakingly built by one man. Construction on Loveland Castle began in 1929 by Boy Scout troop leader Harry D. Andrews, who decided that the massive undertaking would make a great side project. Harry’s obsession with medieval architecture began when he was Knighted for his bravery as a medic on the front lines during WWI. After returning home from the war only to find that his fiance had married another man, Harry poured his attention into building the Loveland Castle, the surrounding mote, and drainage system. Almost every aspect of the castle is handmade, and that includes a large portion of the bricks, which Harry made out of cement and milk cartons after running out of stones from the nearby river. In the 50 years it took Harry to complete his project, he went through 32,000 milk cartons, 2,600 bags of cement, and over 56,000 pails of stone, but it was all worth it when he surveyed the finished result. When everything was said and done, the entire castle was built for 12 thousand dollars. Harry liked the castle so much that he moved in. Harry lived out the rest of his life in his incredible castle near the river, but unfortunately, his last few years were rather tragic ones. The problem with owning a castle in the middle of Ohio was that it drew quite a bit of attention, sometimes of the unsavory kind. Harry was content to share his odd home with visitors, even giving tours to curious locals in exchange for donations, but more than once Harry found himself at the mercy of thieves who stole of his money, food, and property. 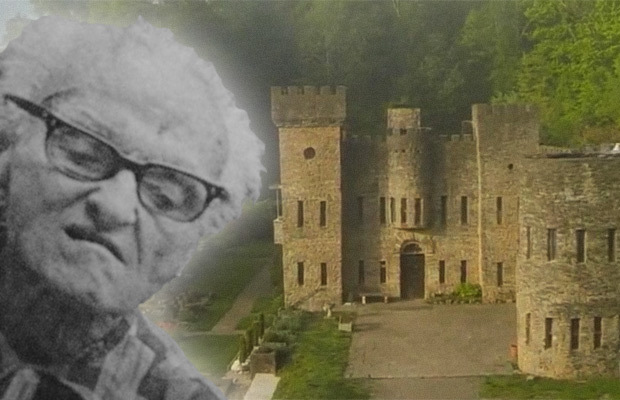 Near the end of his life, things had gotten so bad at Loveland Castle that Harry had begun nailing the donation box shut and sleeping with a gun next to his bed. This helped little, as one night he was not only beaten with is own gun, but the donation box was ripped off the wall and stolen altogether. Finally, on March 31, 1981, Harry climbed the stairs to the roof of Loveland Castle, where he kept a barrel for burning his trash. While burning his garbage, a task he was used to doing every week, Harry accidentally set his polyester pants on fire, and because he was preoccupied with removing the loaded gun from his pocket, which he had begun to carry for security, he was badly burned. Harry Andrews died of gangrene 16 days later. He was 91 years-old. In his will, Harry had left his incredible home the local Boy Scouts, the Knights of the Golden Trail, who have spent the last three decades performing extensive upgrades on Loveland Castle. It seems Harry is happy with the upkeep, because by all reports, he’s decided to stick around. After all, what’s a medieval castle without a ghost? Over the years, many of Loveland Castle’s volunteers began noticing some strange phenomenon occurring around the building. A shadowy figure, which many have attributed to the spirit of Harry himself, is often spotted floating through the castle when something is about to go wrong. One afternoon when a few of the Knights heard the sound of the upstairs bathroom door slamming open and close, they quickly set off to investigate the disturbance. When they reached the spot where the sound was coming from, there was no one to be found. What they did notice was that the septic tank was about to overflow, which would have caused irreparable damage to the castle. The volunteers thanked Harry, and learned to pay close attention to the disturbances in the castle. It seems that Harry is not the only ghost haunting Loveland Castle, though. Another spirit is a woman believed to have died during a moonshine explosion in a nearby cave. She’s often spotted walking across the river behind the castle, or even sitting in the seats in Loveland Castle’s courtyard. Those who’ve seen her have described the woman wearing a long, flowing dress, and have nicknamed her the White Lady. Unfortunately, she’s very shy, and will disappear when spotted or called out to. One of the strangest phantoms said to haunt Loveland Castle is referred to as the Viking Entity, who many believe is attached to one of the numerous antique swords in Harry’s extensive collection. He’s often seen walking around the castle in a long black cloak, carrying a wide sword that he holds at his chest. While intimidating to those who’ve spotted him, the Viking doesn’t pay much attention to the living. He simply continues on down the hallways with little regard to what is going on around him, and is likely a residual haunting. Fortunately for weirdos like us, the castle has fully embraced its haunted history, and for a small donation fee, paranormal researchers can rent it out for an overnight investigation. In fact, during October, Loveland Castle even hosts haunted houses to help locals get int he spooky mood. As a cryptozoological bonus, Loveland Castle is located just steps away from the Little Miami River, where the first appearance of the mysterious Loveland Frogman was reported back in the 50s. Some even say they’ve spotted the strange creature while visiting the castle. Loveland Castle is one of the most underrated haunts in Ohio, and as a community that’s already proved itself as invaluable when it comes to saving historical properties, paranormal investigators might want to direct their investigative skills towards the biggest (and most haunted) folly castle in the state, preserving Harry Andrews’ amazing creation for generations to come. For more of the world’s most haunted hidden gems, like Planet Weird on Facebook and follow us on Twitter @WeirdHQ! ← Previous Story Was New ‘Amityville: The Awakening’ Film Sabotaged by Real-Life ‘Amityville Horror’ Survivor? Wonderful and very atmospheric place and well worth a visit! I wrote about Chateau Laroche in Haunted Ohio III. The Knights of the Golden Trail seemed to downplay the ghost stories at the time I was investigating it. They still downplay the ghost stories, but do let paranormal investigators rent the place to investigate. Fantastic place to visit with a great garden surrounding it, and I have my own ghost story from a visit there as well. Lakeshore Mental Health Institution, Telling the story of how one man spent his leisure time. The necessities of life’ Food, water, clothing, shelter. He made a garden for his food, piped water from the “Little Miami River”. He used milk cartons to make his bricks. He carried stone from the Little Miami River” that was full of stones. As a teenager I went swimming in the Little Miami River. I visited the castle when Harry was living there and he took us on a tour through the castle. Stop it America you don’t have castles! Looking at this story and the photos of Lovelace castle that are included.It was whilst looking at these photos that I noticed”something odd”(in the photo where the female paranormal investigator with dark hair is stood in the empty doorway or archway)if you look to the left of her along the wall There appears to be a very large white head and face together with the charactoristic facial expression that closely resembles Harry D Andrews the former builder and owner of lovelace castle who is known to still reside there despite dying in a tragic mishap over 30 years ago!!!!!!!!!!!!!!!!!! I am a Member Of this Castle and the Knights of the Golden Trail (KOGT) the order of nights started in 1927. Sir Harry Built a real 10th century style Castle For his knights. The man was a genius. If you ever go back read some of the stuff he wrote, ask the person behind the desk for things to read. or just watch all the interviews of him and the travel channels bit on his time in WWI. Amazing Story!!! !